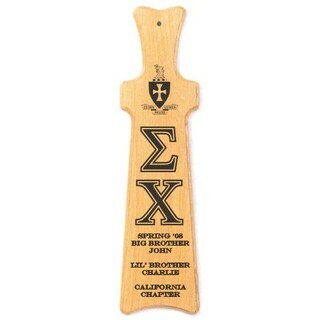 When it comes to giving a paddle to your big brother or sister, it's important your gift is original and customized to their personality. 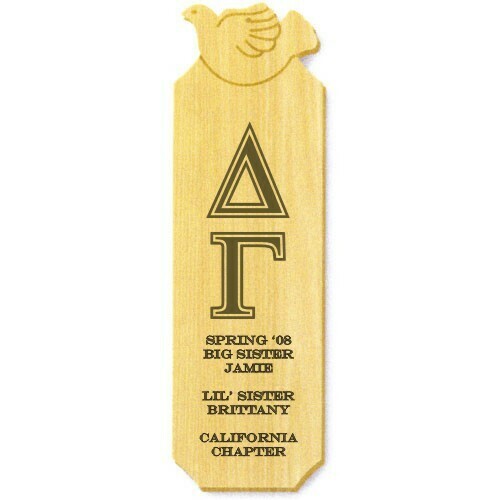 The dove represents peace in unity, and the Greek community is one of comradery and loyalty. 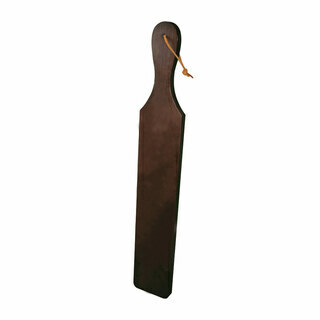 This dove-handle paddle reflects these ideals. 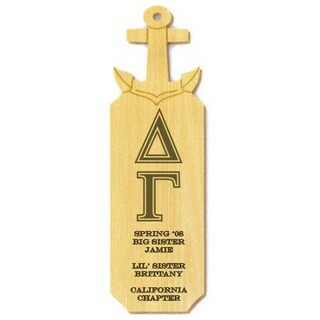 Original and meaningful, the paddle is constructed of oak wood, and your organization's Greek letters are laser-engraved on the front. 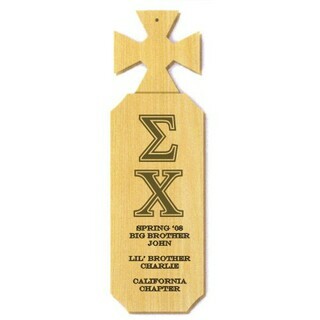 In addition, the paddle allows for up to eight lines of custom text, ensuring your paddle is customized for your older brother or sister.